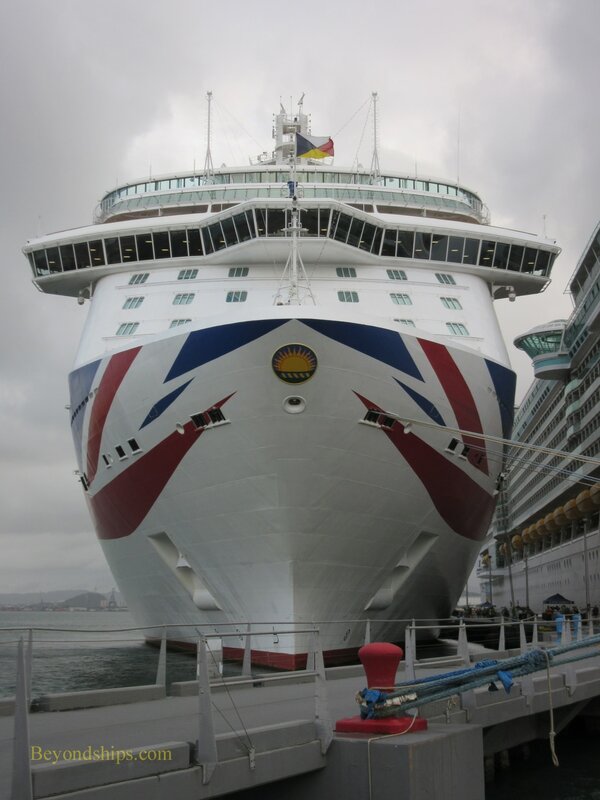 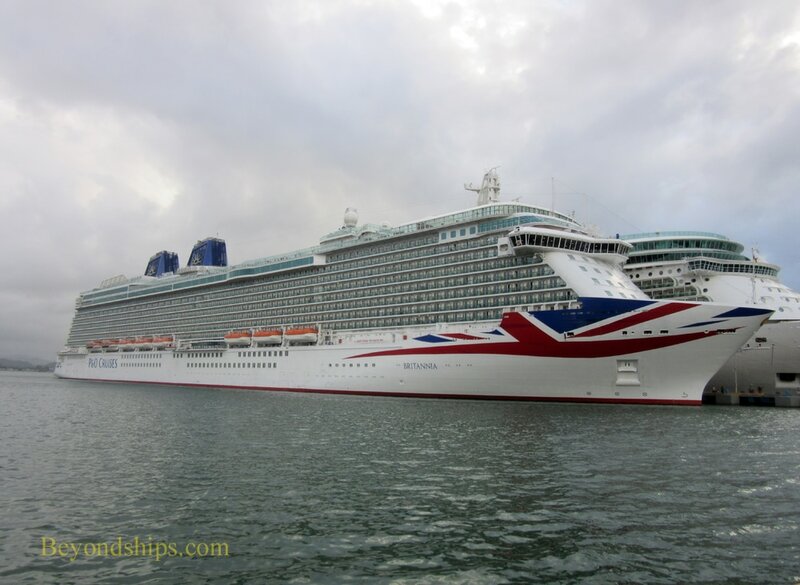 On a cloudy winter's afternoon, Britannia is docked in front of Old San Juan. 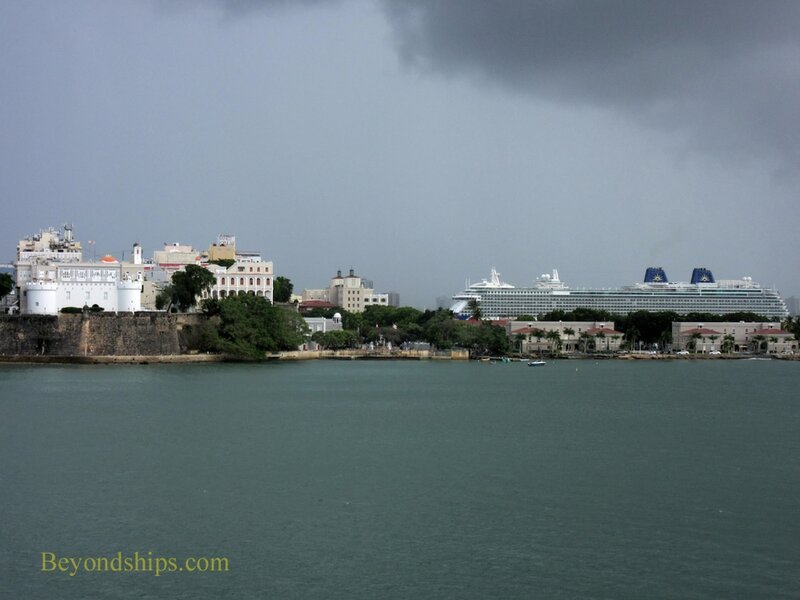 (See our Old San Juan profile). 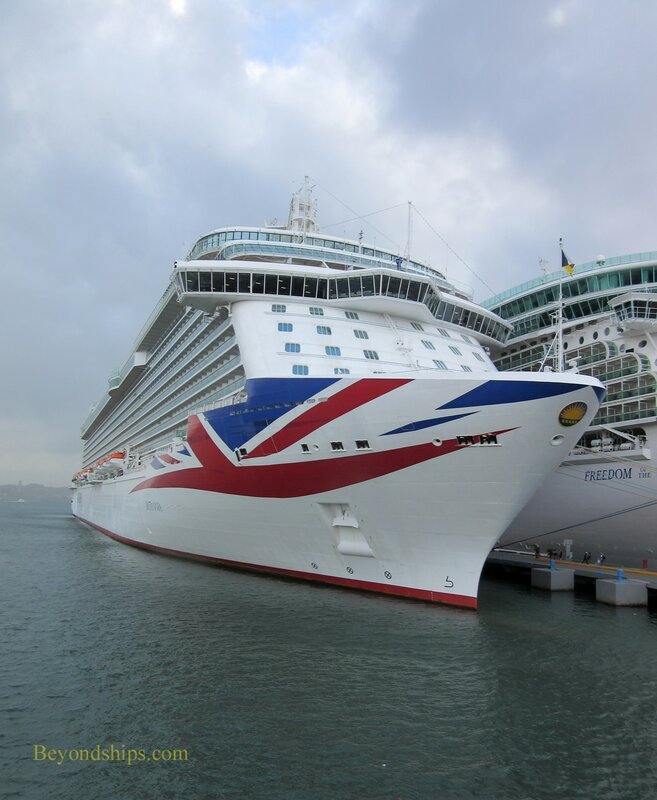 The largest cruise ship built specifically for the British market, her height rivals that of La Fortaliza on the hill in front of her. 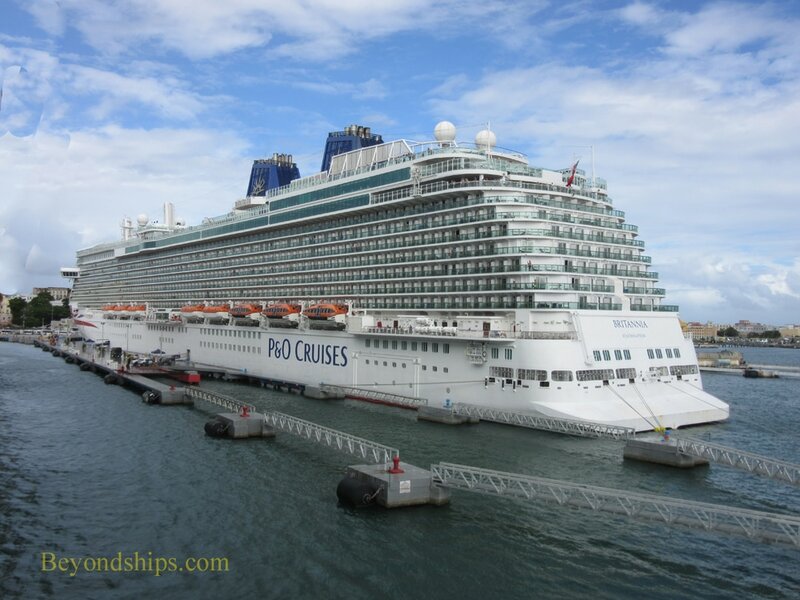 The ship is docked at one of the modern piers that jut out perpendicularly from Calle Marina. 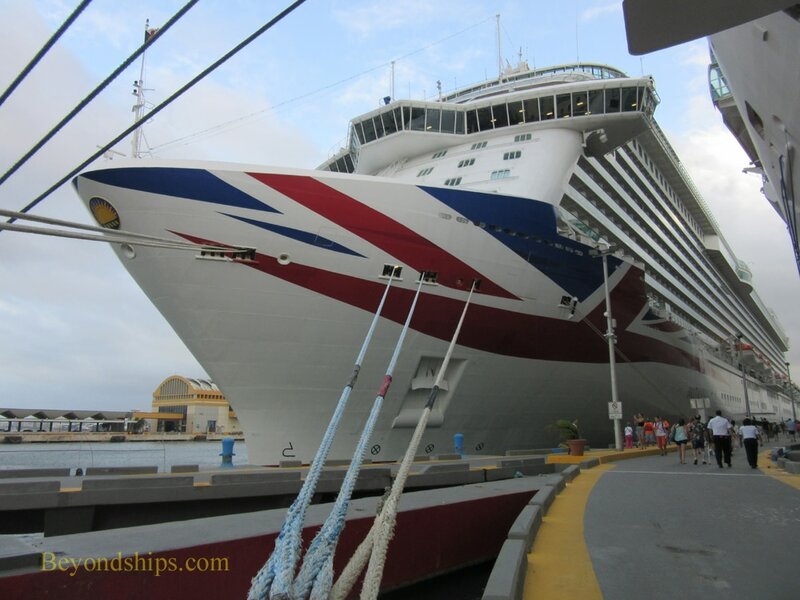 It is only a short walk (albeit uphill) to the attractions of Old San Juan. 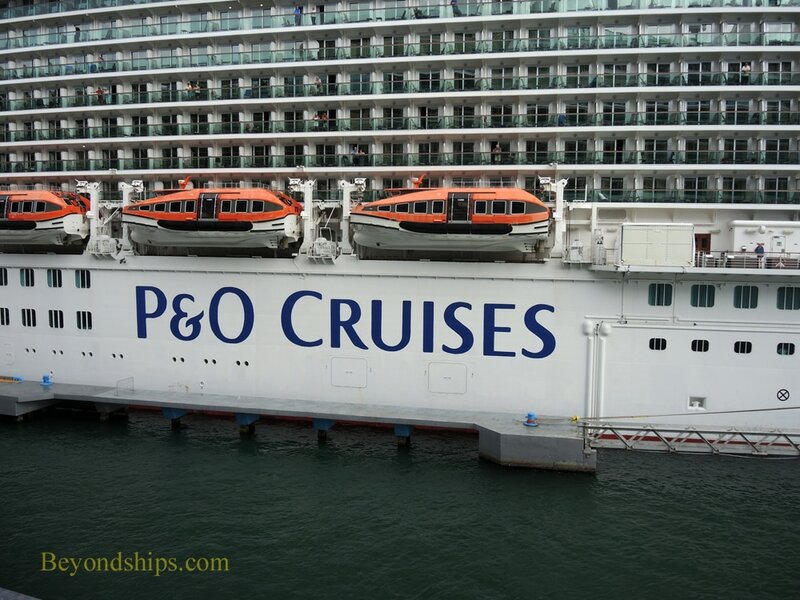 Sharing the pier with Britannia is Freedom of the Seas, sister ship to Southampton regular Independence of the Seas. 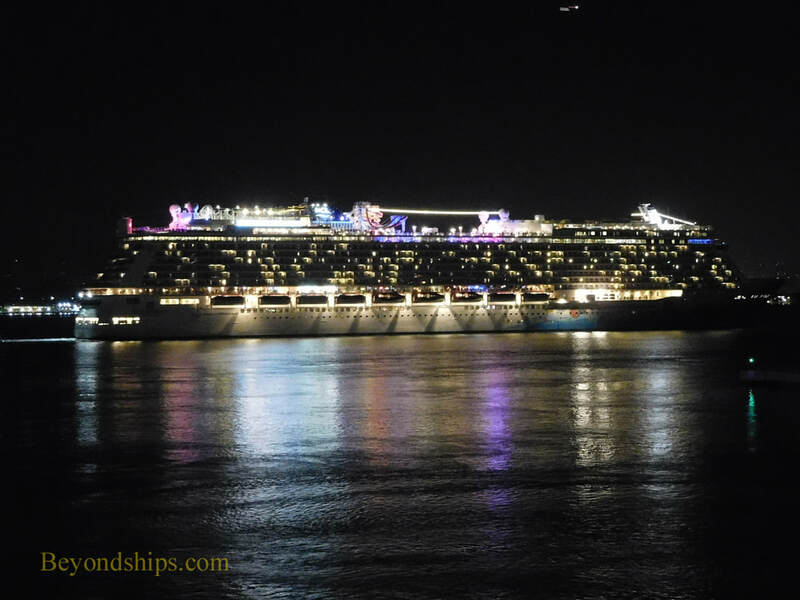 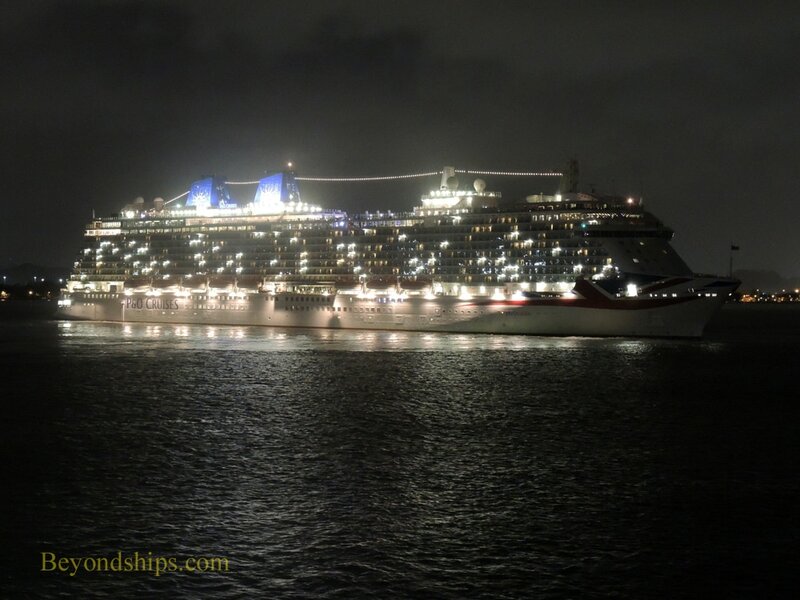 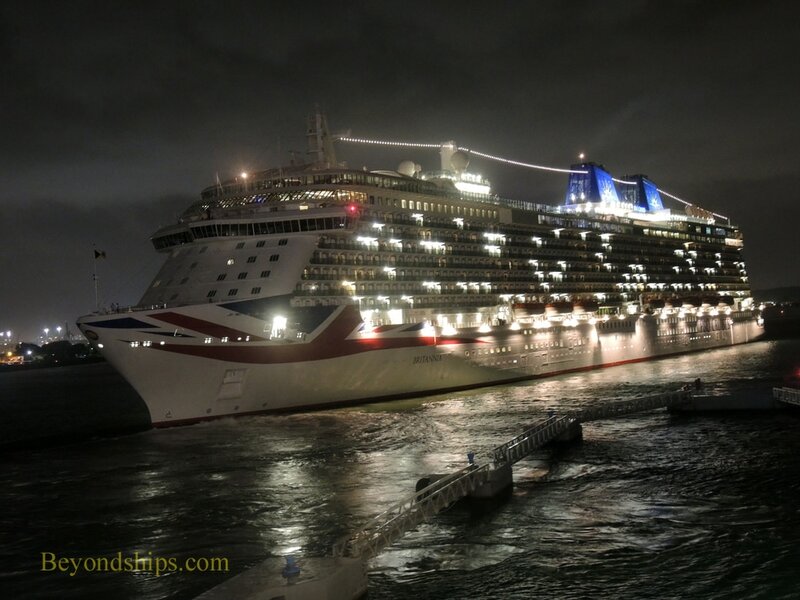 Like many ships that call at San Juan, Britannia remains in port until after the sun has set. 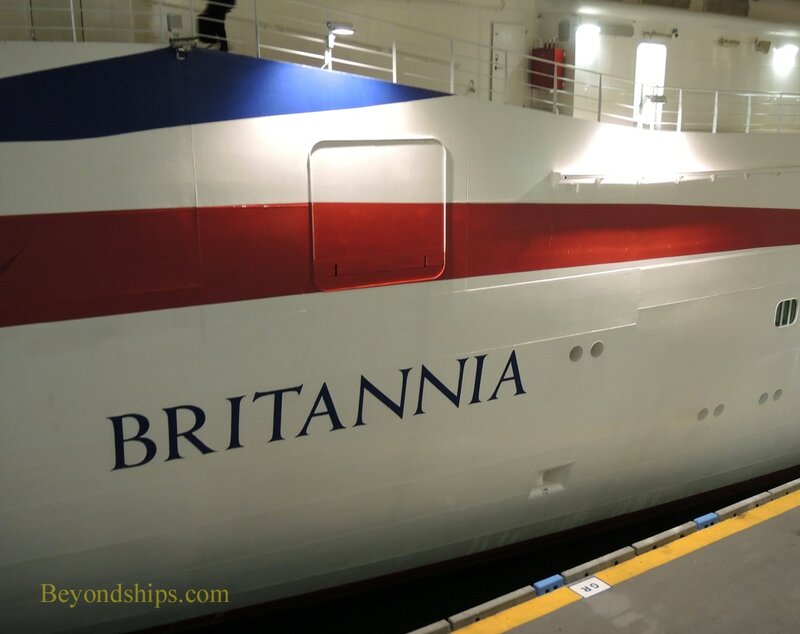 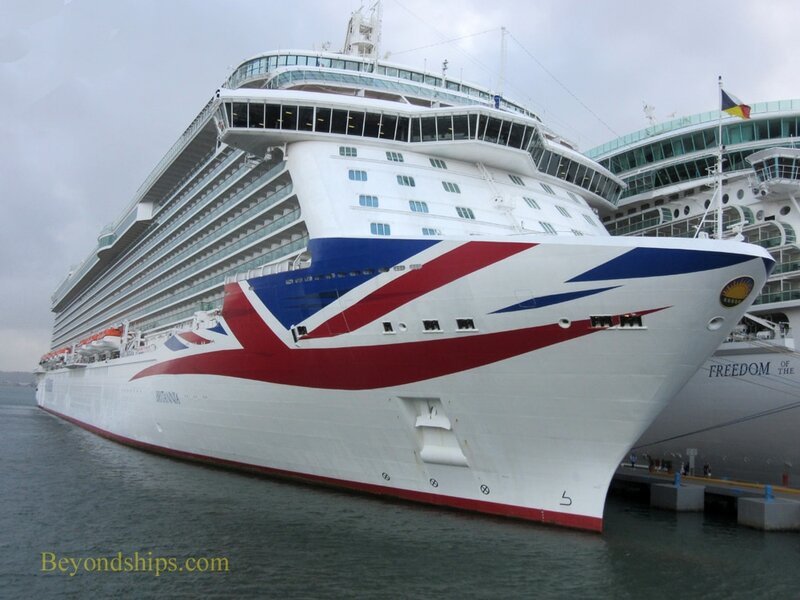 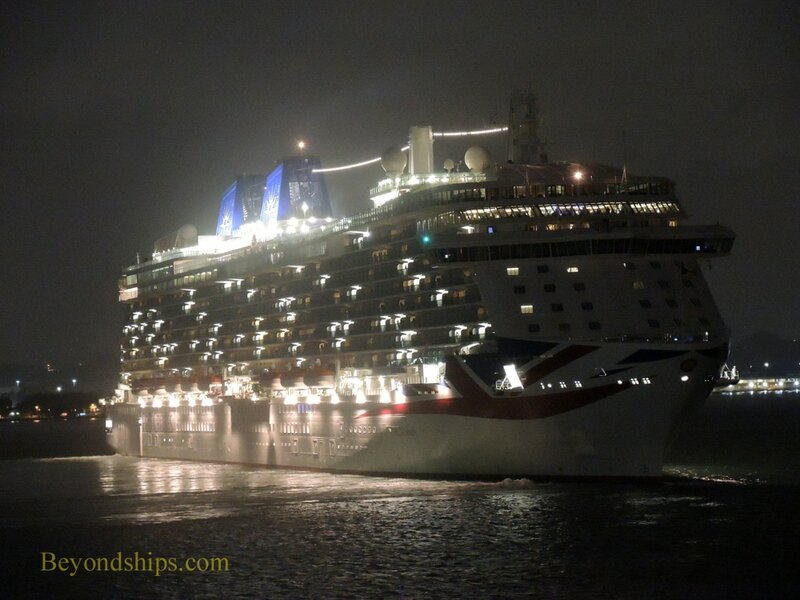 Having recovered her passengers, Britannia backs out of her berth and executes a 90 degree turn. 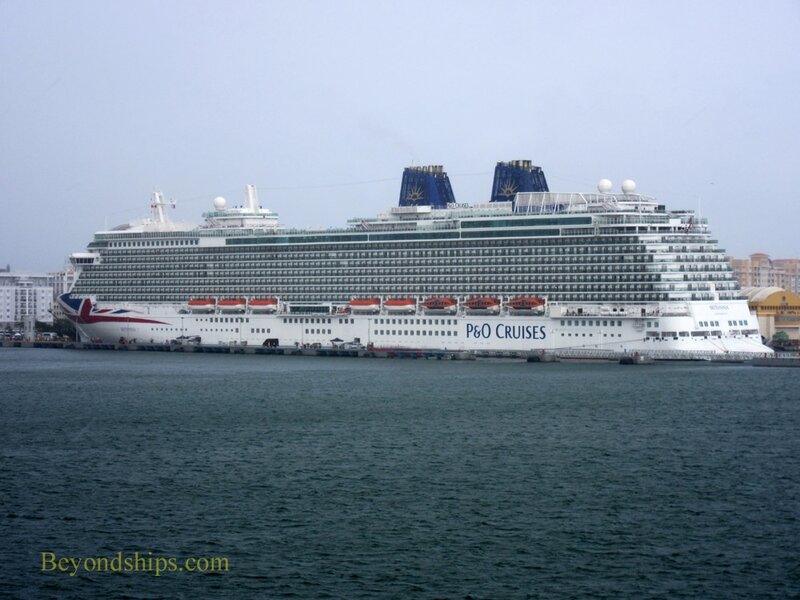 She then follows the channel that runs past El Morro and the city's other ancient fortifications and out to sea.